Since 1949 Samputensili has supplied the gear manufacturing industry with innovative machines, tools, services and system solutions for the manufacturing of gears, shafts, worms, rotors and other screw-type workpieces. In doing so, we have always invested in state-of-the-art technology. Our engineers and employees have worked to push the limit of innovation, making us one of the largest global suppliers of gear manufacturing and process technologies and a leader in the gear cutting tools sector. At Samputensili, limits have always been pushed in order to make customers’ manufacturing more efficient, maximizing their productivity in an environmental-friendly way. 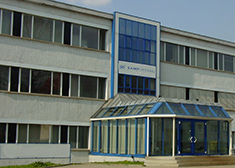 In order to be even more focused, skilled and closer to our customer needs, Samputensili – formerly a division of SAMP S.p.A. – has been divided into two independent companies since January 2016: Samputensili Machine Tools S.r.l. and Samputensili Cutting Tools S.r.l. We began producing machine tools some 50 years ago to improve the manufacturing quality of our gear cutting tool range. Traditionally experts in the field of hard finishing and chamfering/deburring, today we can offer a comprehensive, state-of-the-art machine tool program for roughing and finishing gears, shafts, screw-type workpieces, threads and rotors. Features like direct drives, linear motors, energy saving concepts, time parallel processes and integrated measuring and dressing units, often pioneering developments, are now part of the standard equipment found on many of our machines. We strive continuously to maximize the benefit of your investment. At Samputensili we like to assess customer needs as well as offer a more efficient and high-quality solution. We work alongside with clients in order to provide them with the most productive solution. We believe that a successful product is the result of ongoing researches. In doing so, we listen to our clients’ needs and invest in innovation and technology, offering them a better mechanical engineering solution. We have a stable worldwide presence with 13 subsidiaries, 7 production plants and nearly 482 employees operating in five continents ensuring tight relations with the customers. Together with Star Cutter, a well-trusted company based in Michigan, USA, Samputensili formed a joint venture in 2002 under the name of Star SU Llc. Initially responsible for the sales and distribution of machines and tools in the North American market, the partnership between the two companies has been extended to South America in 2014 with the creation of Star SU do Brasil and in China in 2015 with the creation of Star SU China. Beyond precision is our corporate motto. We believe that our solutions need to completely fit the needs of our clients, ensuring them competitive advantage and a concrete return of investment. In doing so, we raise the bar of innovation and precision in order to offer always the best and build a trustful relation. The management of Samputensili is made up of a strong team, thanks to the combination of experienced directors and high-skilled professionals specialized in their own field. In this way it’s possible to manage a truly global company. Thanks to our geographical expansion, we are never so far from you. 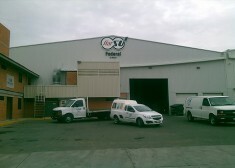 We manufacture in 4 continents covering most of the world. Star SU Federal de México S.A. de C.V.
Sampsistemi wishes to formalize its commitment to achieve customer satisfaction, environmental protection, and workers’ health and safety. The Quality Management System of Sampsistemi has been certified according to UNI EN ISO 9001:2015 and UNI EN ISO 14001:2015. We were founded on entrepreneurship. Since then we have never stopped to expand our boarders! Starting from the manufacturing of gear cutting tools we have developed and strengthen our skills on gear machine tools in order to provide the best solutions to our clients. Our know-how is based on a strong combination of innovation and knowledge. Throughout our years of history and by working in different countries for different industries, we have gained a strong technical expertise, market knowledge and experience. We strongly believe that especially today where the competition is extremely challenging, knowledge is a great competitive advantage for companies to triumph among competitors. Clients are the center of our focus and help them to win their competition leading their market by sharing our broad knowledge has been always our value. Our knowledge is constantly feed by our network of local companies and strategic partners, by sharing their own knowledge. Each Samputensili employee is part of a great network, which has been built day by day and in which they glean to find updated information and relevant experience in order to provide the best cost-effective solution to client requests. 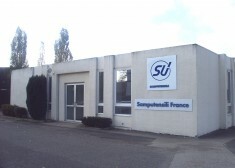 As part of the SAMP Group, Samputensili’s companies have access to a further bulk of information which cover the whole gear manufacturing process. Thereby, our employees have a great holistic view on the business, which plays a key role in offering the best answer to our clients’ specific requests and inquires.